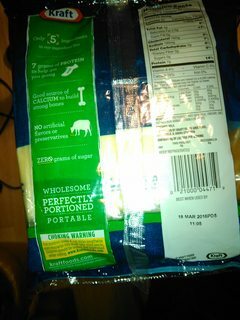 The packages of my cheese and hotdogs say "Keep Refrigerated" (see photos below). Does that mean I should put them in the freezer, or the other room of the refrigerator? Many food products' packages say "Keep Refrigerated", for example, eggs are labeled as such and with temperature at least or at most 45 Fahrenheit. If not explicitly saying some temperature, how can I know if I should put a product in the freezer or the other room of the refrigerator? I think there's a bit of linguistic confusion here. Although combination fridge-freezers (i.e. two compartments, one above freezing and one below) are common and we often call the entire appliance a refrigerator, that's more just a simplification. We'd never refer to the freezer compartment (or a standalone freezer) as refrigerating things; it freezes them. So if someone says "put it in the fridge" or "refrigerate that" or "keep refrigerated", they mean the fridge, not the freezer. It's rare for things to have more specific refrigeration temperature requirements than that. You can't really adjust your fridge much; it needs to be 40F/4C or lower to be safe. In practice that means you aim for more like 35F/2C so that if some parts of the fridge are a bit warmer it's still safe. That means that even if you wanted to keep something slightly warmer, the warmest you could really keep it is 40F/4C. If you really want to store a food at a higher temperature, you need a different solution; this is why people store potatoes in cellars, for example. As for what things can be frozen if desired... it's hard to generalize a ton. The main issue with freezing is that it can mess with the texture of food. Fresh fruit and vegetables will generally lose their structure when frozen, so if they're subsequently thawed they'll end up mushy and leaking juice, making them only good for cooking. Things with less structure like meat, dairy/cheese, and a lot of cooked food tend to freeze well. So your cheese and hot dogs will be fine frozen, but if you have a lot of other things you're interested in freezing and you don't have an intuition for what will and won't work, you're probably best off googling each one. When a product is labeled "Keep Refrigerated", it does not mean you should put in the freezer. Some foods (including cheese) do not freeze well, and will suffer a degradation in texture or other problems. 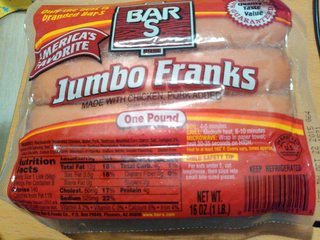 Other foods (such as hot dogs) may be frozen to extend the shelf life, though they're normally just kept in the refrigerator. 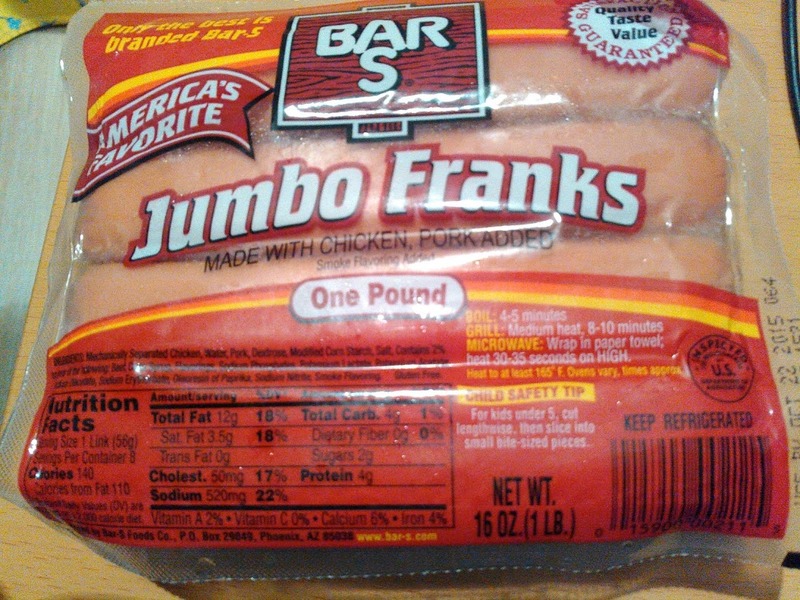 If you purchase an extra quantity of something like meat (or hot dogs) that requires refrigeration, refer to the expiration or "best by" date on the product. If you don't expect to cook the product before then, you might consider freezing it. Hopefully you'll use your cheese before March 18th, but note your hot dogs already passed their "best by" date a couple of months ago. "Keep refrigerated" means store in the refrigerator at a temperature between 32F and 40F, ideally at about 35F. The main compartment of your refrigerator should be in this temperature range. You can, if you wish, store either of these products in the freezer. Kept frozen they'll be safe to eat indefinitely, however they may suffer in other ways. In my experience hot dogs keep well in the freezer and after being defrosted come out just like they went in. Cheese is a different story, and freezing can change its texture. 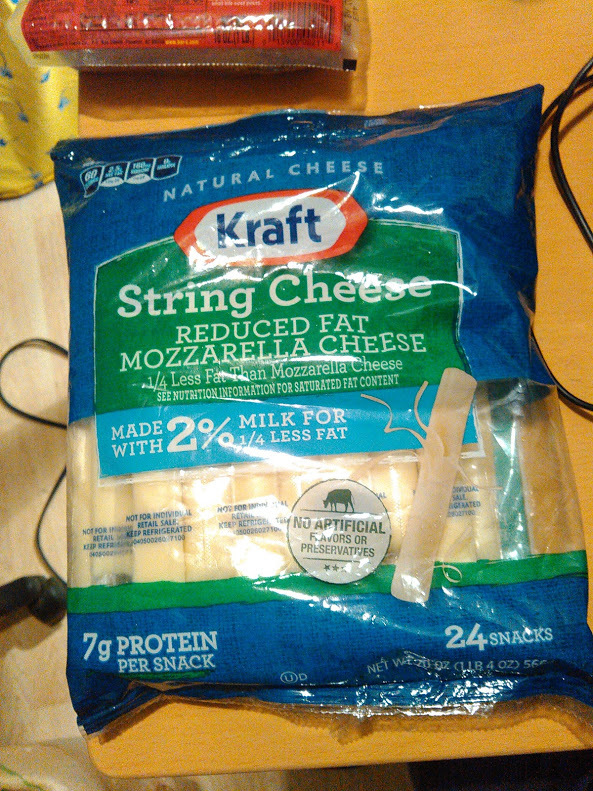 If you freeze your string cheese you may find that it loses some of its stringiness. "Keep refrigerated" means it should be kept in the refrigerator (fridge); "keep frozen" means it should be kept in the freezer. Any working fridge or freezer should be automatically at the correct temperature. Not the answer you're looking for? Browse other questions tagged storage-method refrigerator or ask your own question. How effective are modern home refrigerators at keeping other foods cool when hot food is introduced to the space? What aspects of a fridge most affect the quality/taste of food? Soy milk; fridge vs. shelf? How to remove most water from food when cooling them down before putting to a refrigerator?